 Meet the friendly staff at PARKVIEW CAT CLINIC! Dr. Grant' Grant Gugisberg, a St. Paul native, is a 1991 graduate of the University of Minnesota - College of Veterinary Medicine. He lectures nationwide on feline health and behavior topics in shelter cats for American Humane, Petfinder.com and Petco Foundation and has participated on national roundtable discussions regarding Feline upper respiratory tract infections. Clinical interests are internal medicine, upper respiratory disease and whole life behavioral issues. As part of his practice he operates a referral cat behavior service doing both in clinic and in home consultations.